Normally, educated scientists present their findings and conclusions at the Greater Everglades Ecosystem Restoration (GEER) Conference. However, at the 2017 event, junior John Baldwin, shared his internship experience in a poster presentation along side the professionals. Baldwin worked in a science lab at Florida Atlantic University. The pilot program enabled students to gain primary research experience in active university labs through supervised independent projects in Everglades science. The poster presentation, "Bringing the Classroom to the Science" joined Baldwin with his supervising professor, Dr. Brian Benscoter. 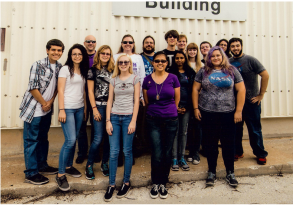 Once again the team from South Plantation High took home First Place in the Student Astronaut Challenge held at Kennedy Space Center after winning its first title in 2015. The school has entered six times and has made the finals five of those but not last year. "I am really honored to work with such devoted and hardworking students," said coach Katherine Boutin who has been the team's only coach. "They showed an amazing ability to work as a team helping each other as needed." Teams from throughout Florida, several from Georgia and one from Ireland competed in the 2017 competition that tested space shuttle knowledge as well as team work shown through four challenges: Shuttle Simulator, Engineering, Lab, and Landing. Regan Williams (Mission Control), Parker Crooks (Mission Control), and Joshua Hall. Jakob Hall. ​ The finals required the Commander to switch places with another team member so Regan Williams replaced Nick Schwab. "We never practiced switching positions so that was a real shock," Boutin said. "The judges loved Regan) and have asked her to work with them next year since she is going to FSU and they are based in Tallahassee." Last year the Landing Challenge was introduced, so 2017 was the first time South's team was tested on its landing abilities using the space shuttle simulator. The students involved in this test could not be from the flight crew of the Simulator Challenge. In the Engineering Challenge, teams solved an problem that consisted of determining which systems were needed during different phases of the landing of a space shuttle with limited power available. In the Lab Challenge students designed an experiment for growing food on Mars. 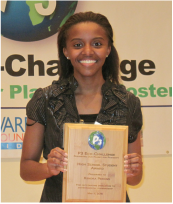 ER Ambassador President Kendra Perkins won the Outstanding Student Steward at the P3 awards: Preserving our Planet for Posterity. ​ Broward County Public Schools recognized environmental stewardship through eduction at the May 11, 2016 awards. For the last four years she taught children and adults throughout Broward County about water conservation and the restoration of the Everglades. ​ South Plantatiion entered all six categories of the competition. The magnet program also won the Innovative category. Dr. Jody Berman was South's teacher nominee. Magnet seniors won the top three awards in the 2015 Water Matters Essay Contest: 1st Place - Emily Morinelli, 2nd Place - Jack Jennings, and 3rd Place - Marlon Hall. manage them in the next 100 years? What are some of the new challenges our natural resources are facing as Broward County's population increases? Marlon Hall (Class of 2015) was Freddy, the mascot of the South Florida Water Management District, who congratulated the award-winners. After competing in different options for the Fairchld Challenge, the SPHS team took home the Silver Award in May. AP Environmental Science teacher Jessica Brown coached the team. Top finishers were Mary Driscoll who took first place in the Mayoral Speech, and Leigh Bouskila and Tamir Rabinovich who won the Debate Team option. The 2015 top finishing team. Returning for a special behind-the-scenes tour. 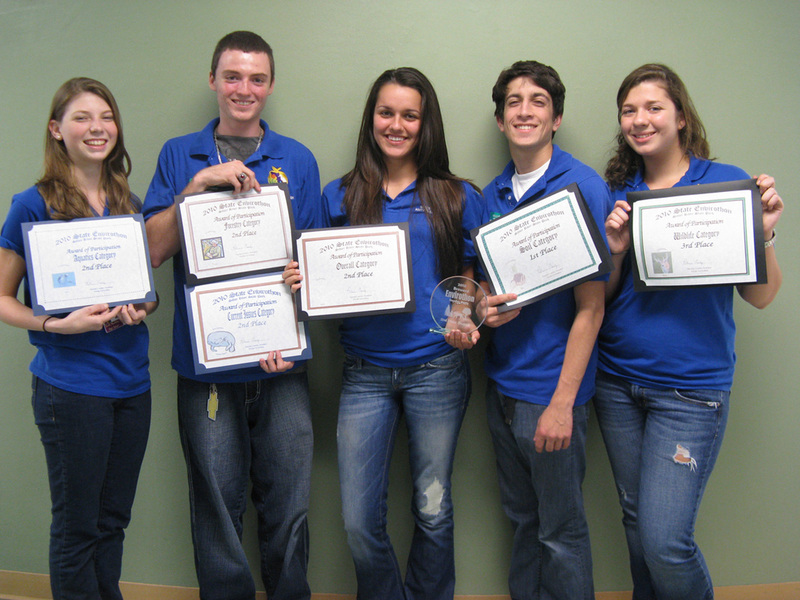 ​ The six-member team from South Plantation won NASA's 2015 Student Astronaut Challenge. 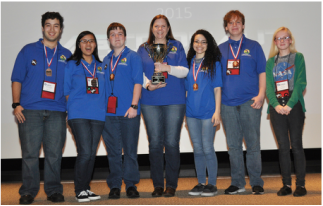 From the Regional Qualifying Test, 15 teams competed at the Kennedy Space Center, Feb. 26-28. As the overall winners, they returned for a special behind-the-scenes tour of the facility. 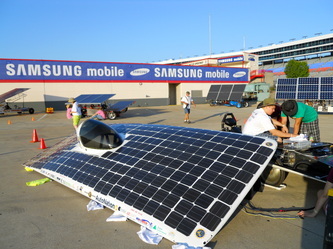 ​ The three-day competition consisted of four challenges: a technical exam, lab experiment. 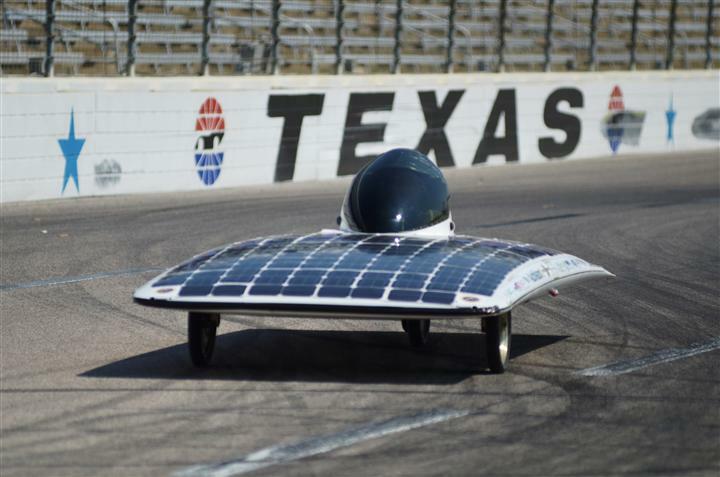 The three-day competition consisted of four challenges: a technical exam, lab experiment proposal for a flight to Mars, an engineering challenge and three rounds using a flight simulator. Katherine Boutin has coached the team for all four years of the competition and the 2015 team finished the best of all years. 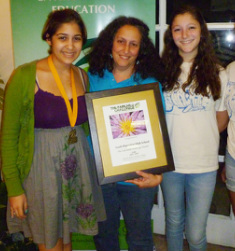 In 2014 for the seventh consecutive year, students in the Environmental Science and Everglades Restoration magnet program at South Plantation High won the Fairchild Challenge. The multi-disciplinary environmental competition is sponsored by Fairchild Tropical Botanical Gardens in Miami. of Nature: Composition and Performance option. In the Citizen Science: Be a Part of the Solution option Jonas Baptiste and Katie Van Winkle also were first. The video documentary of the Gardens and Green Space, edited by Raphae Mikelstein, captured first as well. The environmental debate team, Seaira Crea, Darrion Johnson, Tamir Rabinovich, Jennifer Moscovich and Richard D'Albert, took second place for their performance in the Senate. Special Merit recognition was given to Simone Yen in the Plant Exploration Writing for her In-Depth Focus on Crops; to Jasmine Spitzer-Smith, Nerissa Mape and Natalie Arnold for their Excellent Research and Highly Original Green Cuisine: Fairchild's Food and Garden; and Jasmine Spitzer for Use of Space Concept in the Design Your Future Garden option. South Plantation also scores a Special Merit Award for a Well Written and Comprehensive School Comprehensive Plan: Looking Back and Planning Forward. Pamela Krauss has been the coach of the team for the eight years South Plantation has competed. She credits much of the school's success to the community mentors who have worked with the students over the years. The Solar Knights picked up the award at the June 7, 2014 Go SOLAR Renewable Energy Fest with Principal Christy Henschel. Under the guidance of AP Environmental Science teacher Jessica Brown, South Plantation's C3 team captured the top honor for high schools in 2014. The fifth Annual Conservation and Climate Change Challenge was sponsored by the Broward County Pollution Prevention, Remediation and Air Quality Division. MSA director tours SPHS program. For the second consecutive year, the Environmental Science and Everglades Restoration magnet program at South Plantation High won the national Magnet School of Excellence Award. It is the top category in the recognition program sponsored by the Magnet Schools of America organization. Magnets are evaluated on student achievement, innovative and engaging instruction and curriculum, community engagement, professional development and a commitment to diversity. The awards are given to select school nation-wide. Previously, SPHS won three Magnet Schools of Distinction honors, the second highest award of recognition. 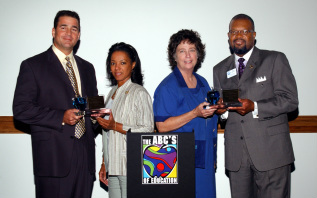 Awards are presented at the National Conference on Magnet Schools in the spring. Each year for Water Matters Day, Broward County's Environmental Protection Department holds an essay contest. In March, Jeffrey Neuman's entry won second place honors. For each year of the contest, a South Plantation student has scored one of the top three places. Neuman was unable to attend the presentation, and Marlon Hall accepted the award for him. In the photo are Broward School Board members Nora Rupert and Patricia Good (Chairperson), teacher Jessica Brown, Marlon Hall, and Principal Christine Henschel. 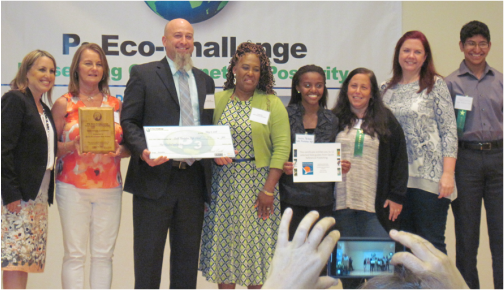 Broward County Public Schools held an environmental competition for students, schools and adults. Senior Andre Lindsey captured the top high school student award and won a Kindle and trophy. Magnet Coordinator Pam Krauss won the high school teacher honor which came with a Youth Environmental Alliance Class Program, $500 and a bird feeder. 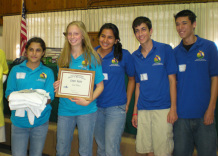 South Plantation won the School Sustainability award including a trophy and $750 check from PB World. ​ For more information and photos check the school board website at http://www.browardschools.com/p3/. 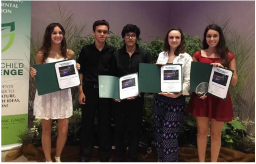 For the six consecutive year, students in the Environmental Science and Everglades Restoration Magnet program at South Plantation High won the Fairchild Challenge, a multi-discipline competition relating to the environment. They competed in 10 options ranging from art to science and earned the Gold Award (and $1,000) to continue their environmental initiatives. The Fairchild Challenge named senior Maya Halaly an Environmental Role Model for students and Matthew Zealy the Teacher Environmental Role Model. Magnet Coordinator Pam Krauss has been the team's coach for all those years. Students Coordinators who led the 2012-13 Paladin team were Stephanie Rodriguez and Maya Halaly. Rodriguez created a winning magazine that documented the Garden and Green Spaces option. In the Urban Sustainability Project category, Mary Turner won a perfect score and First Place for the "Planting and Growing Gardens" model she designed and built. Matthew Beck and Cameron Robertson took First Place for their vertical garden in the "Growing Food Made Easier" category. South's other First Place winner was in the Plants and Water Option where Aaron Jiles and Casey Gray created a video with interviews about water usage. 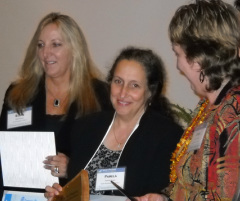 In 2011 teacher Madeline Rosario won the Educator Design option and became South Plantation’s teacher Environmental Role Model. Jessica Millar was the Student Role Model. 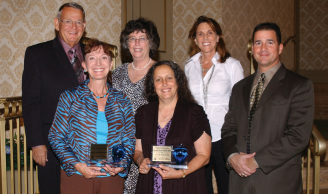 In 2010, Pam Krauss was an Exemplary Educator and Alyce Culpepper and Matt Zealy were Environmental Role Models. Richard "Shawn" Abrahams was the Student Role Model. Fairchild Challenge judge evaluates garden. Florida Agriculture in the Classroom selected Pamela Krauss as the high school winner of the 2013 Excellence in Teaching about Agriculture Award (EITAA). Krauss supplemented her classroom work by bringing in agriculture guest speakers: beekeepers, local farmers and an executive from U.S. Sugar. She took students on an agriculture field trip to U.S. Sugar, annually as all magnet students study agriculture from an economic view in the freshman Everglades research class. 2009 – Pamela Krauss, Esq. 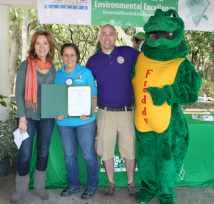 Matt Zealy is the 2011 Broward County Environmental Educator of the Year, and he received his award from Dawn Walker representing the Environmental Education Council. 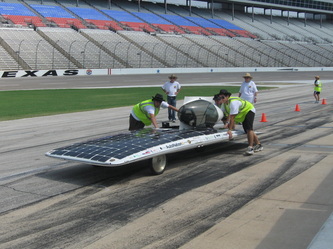 July 2011, the Solar Knights drove a new car in a different class. Advanced Green Technologies helped the team with purchase of a used card from McGill University in Canada. The new high-tech car was a challenge to the team, but the team won its division. 2011: Matthew Zealy- Sponsor for the ER (Everglades Restoration) Ambassadors, a community outreach club that teaches children and adults about conservation of Florida’s natural resources; Elisabeth Jacobi- Coordinator of the Plant a Fish mangrove renewal project. 2010: Carl Wallack – Sponsor of the 4-H Club, Small Animal Care and Horticulture programs that help landscape area schools and parks. 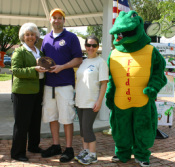 2011: Mayor Armstrong presents the award to Matt Zealy and Lis Jacobi with Freddy, the mascot of the South Florida Water Management District (Luis Malpica). 2010: Carl Wallack accepts his P.L.A.N.T. award from Mayor Rae Carole Armstrong at the City of Plantation's Green Day. 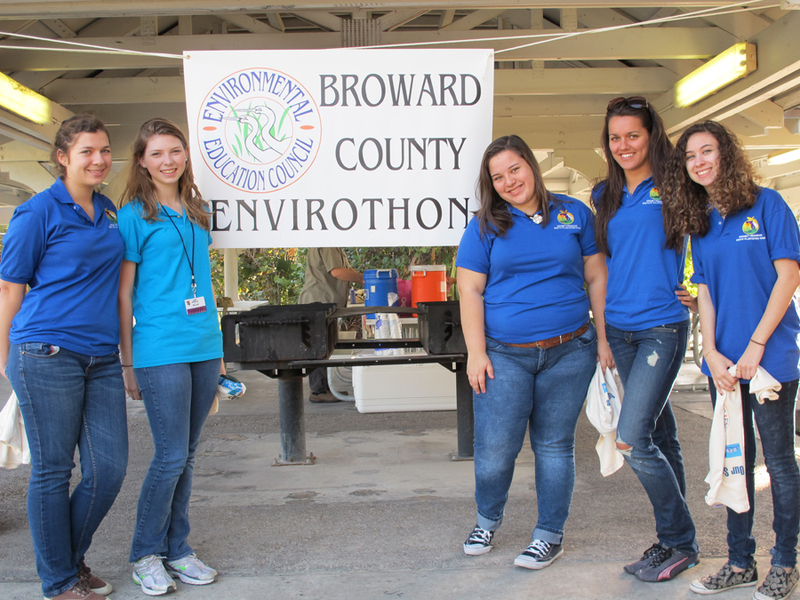 The Broward County Environmental Education Council hosts an Envirothon each year with the county winner advancing to the state competition. Over the last five years, two teams from South Plantation have competed in the Broward County Envirothon winning first or second place each year. The school's Horticulture team is successful as well with magnet students on the team. In March, Broward County's Department of Environmental Protection and Growth Management hosts Water Matters Day at Tree Tops Park in Davie. At the 2013 event, Broward County presented the magnet with an Emerald Award for its environmental initiatives. The ER Ambassadors participate by providing educational materials in the Water Bus (mobile classroom) and crafts for children. Horticulture students bring native plants and animals as well. For the essay contest, a new topic is assigned to students. They are required to research the topic and explain the reasons for their opinion on the issue. Magnet students have placed first, second or third every year. Every year the school districts selects a Partnership of the Year. The magnet has won the high school division twice: first with the Broward Office of the South Florida Water Management District who has partnered with the magnet since its beginning, and then in 2011 with the City of Plantation's Landscape Division. At the second annual Serve-to-Preserve Green Schools Awards Oct. 12, 2011 in Palm Beach Gardens, South Plantation High teacher Pam Krauss won the top teacher honor and $1,500. The Broward County School Board won the District Division. For the last eight years Krauss has taught students in the Environmental Science and Everglades Restoration magnet program, creating the Research 3 (Sampling and Analysis of the Upper K-O-E watershed) and Environmental Law curriculums. She is one of the few teachers in the state to teach Botany. Her Green Waterwise project involved using rain barrels for irrigation of the 12 gardens her students created and maintain through the calendar year. The multidisciplinary project involved art, physics and science. The barrels save up to 52 gallons a day and use a solar-powered irrigation system designed and built by students. Also, her students have been the Champions of the Fairchild Challenge for the last three years earning $3,500 in grants for the gardens. In 2009, Krauss was one of three finalists for the Governor's Serve-to-Preserve Class Division. AP Environmental Science teacher Allan Phipps won the teacher division for his students’ work with solar/alternative energy as they were the only students in Florida to enter and win the national Solar Car Challenge. Brandsmart/Papa John's/Univision award $4,000 to magnet. Teachers accept the El Premio Verde award at Jungle Island. South Plantation High School was honored during the Papa John's Pizza Orgullo de Nuestra awards luncheon held Friday, May 14, 2010 at Jungle Island in Miami. Students in the school’s Environmental Science and Everglades Restoration Magnet program were grand prize winners of $4,000 that will be used to continue their "green"
Brandsmart USA and Univision 23 selected South Plantation High School for the award for its successful incorporation of environmental education and “green” initiatives into its curriculum. Students from South Plantation High serve as ER Ambassadors visiting elementary schools and taking part in community events on weekends to teach children and adults about the importance of protecting the earth, especially South Florida's ecosystem. 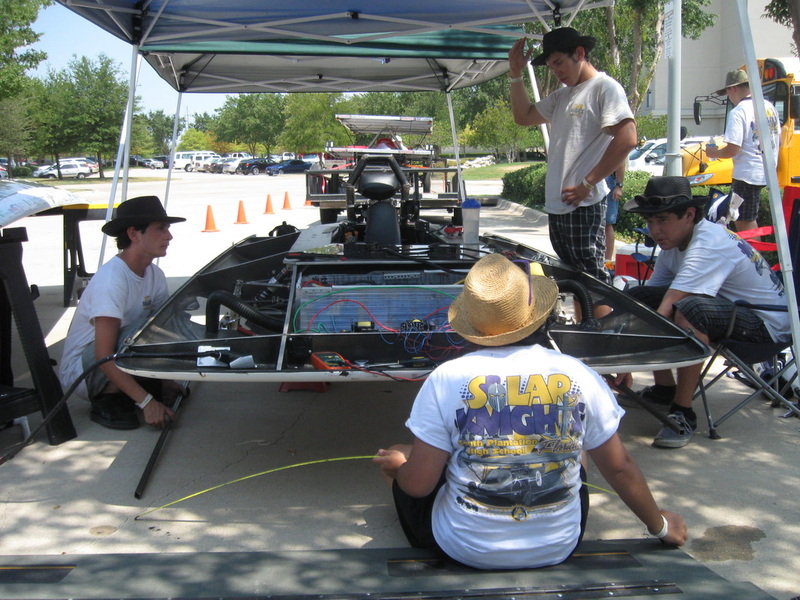 Earlier this year, students at South Plantation High were champions of the Fairchild Challenge and national champions of the Dell-Winston Solar Car Challenge. Lis Jacobi and Alyce Culpepper with the Week of the Ocean award. 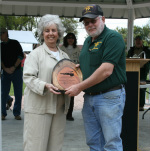 In May 2010, the National Week of the Ocean honors South Plantation for its work and community outreach with the Environmental Award. Magnet Coordinator Dr. Alyce Culpepper and teacher Elisabeth Jacobi received the award for the school. The first time Fabien Cousteau visited South Plantation's magnet, he brought a $50,000 check to present to the Eco Geeks who won the Lexus Eco challenge. He returned later to work with marine science students to help restore mangroves as a habitat for marine life. At the annual Marine Environmental Day in the Spring, Cousteau spoke about the importance of conserving the world’s marine resources so sea life can continue to live. In 2010, the Florida Department of Environmental Protection (DEP) and Cousteau, (grandson of oceanographer Jacques Cousteau and founder of Plant A Fish) celebrated Florida Mangrove Day with magnet students. 75 students went to John U. Lloyd Beach State Park to harvest more than 1,000 propagules, or mangrove seeds that will be grown in a nursery at South Plantation. Governor Charlie Crist declared October 1, 2010 as Florida Mangrove Day which developed from a partnershipbetween Plant A Fish, a non-profit organization focusing on education, empowerment and restoration, and the magnet. “Plant A Fish is excited to partner with the magnet and DEP’s Division of Recreation and Parks on the inaugural Mangrove Day event," Fabien Cousteau said. "Our mission is to educate and empower local communities to play an active role in the restoration of the oceans for future generations." Fabien Cousteau examines mangrove propagules with a student. Students collect more than 1,000 mangrove seeds at John U. Lloyd park at Dania Beach.